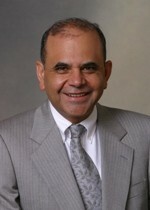 Dr. Takallou has been a faculty member at the University of Portland since 1985. He received his M.S. and Ph.D. degrees in Civil Engineering from Oregon State University. He has an extensive background in Traffic Engineering, Highway Safety and Highway Design. He is a registered professional Engineer in the states of Oregon and California. For the past thirty years, Dr. Takallou has been providing technical and educational services to local agencies such as cities, counties, law enforcement agencies and Oregon Department of Transportation (ODOT) personnel responsible for making roadway safety decisions throughout the State of Oregon. Furthermore, his training programs offer a clear understanding of the relationship between engineering, enforcement, and education for providing maximum safety on Oregon’s roadway system. Dr. Takallou developed several highways, roads and streets training modules and developed the “Safety Handbook for Oregon’s Local Roads and Streets”. In addition, he has organized and conducted several hundred workshops with over 17,000 participants on “Improving Safety Features of Highways, Local Roads & Streets”, “Challenges, Strategies and Obligations of Law Enforcement for the 21st Century” and “ Highways, Local Roads and Street Safety for Non-Engineers”. Dr. Takallou has demonstrated expertise in the subject of Highway, Road and Street Safety. He is a very passionate person and has devoted his knowledge and expertise to reduce traffic crashes and save lives in Oregon.